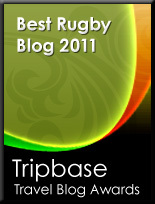 TOTAL FLANKER...a rugby blog: Big Ben Returns? Heads are expected to roll amongst the RFU's administrative staff after it emerged this evening that an administrative error has led to an England recall for former winger Ben Cohen. "I can't understand how it happened," an RFU source said. "A letter was supposed to go out to Ben FODEN informing him that he'd been selected for bench duty this weekend against Scotland. 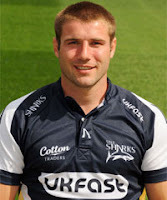 Instead the letter went out to Ben COHEN. It looks like a straightforward admin error." It is understood that the letter to Cohen, signed by England manager Martin Johnson, amounts to a binding contract and the RFU's Director of Elite Rugby, Rob Andrew, is said to have spent the day with the RFU legal team trying to resolve the issue. Unless a compromise can be negotiated it is thought that Cohen, and not Foden, will have to take his place on the bench at Murrayfield. Neither Andrew nor Johnson had any comment this evening, although our source has revealed that the England manager has been walking around all day sporting a "grin like a Cheshire cat." Very good, laughed a lot.